Location: In the center of the Alaskan panhandle on Mitkof Island. Population: 3146. Petersburg Visitor Information Center, Box 649, Petersburg, AK 99833; Phone: (907) 772-4636; Email: visitorinfo@alaskan.com; Website: www.petersburg.org. 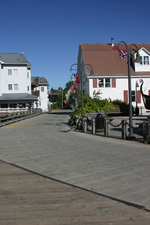 Petersburg is known for its Norwegian heritage and as such is called "Little Norway." Settled by Norwegian immigrant Peter Buschmann, Petersburg is a busy fishing town with unique historical wonders. 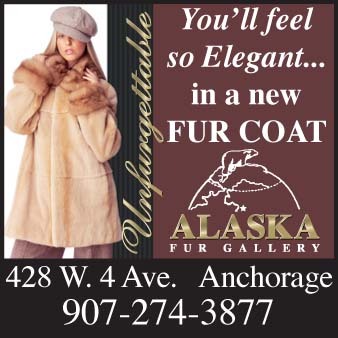 The tourist in Petersburg will find very good overnight accommodations, restaurants and three R.V. parks. Harbor facilities include moorage for vessels from 19' to 150' in length. Nestled in the heart of the Tongass National Forest at the north end of the Wrangell narrows, Petersburg is truly a working town. 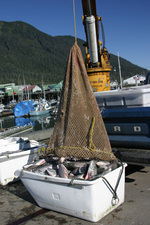 Canneries bustle, processing fresh salmon, halibut and shrimp. Enjoy the catch-of-the-day at a local restaurant or ship some fresh seafood home! Petersburg is an excellent jumping-off point for kayaking, hiking, camping, fishing or to access many area Forest Service cabins. Don't miss a boat or flightseeing trip to nearby Le Conte Glacier and its fjord-like bay filled with icebergs and the Stikine River. Nearby Frederick Sound offers world class opportunities for whale watching. Orcas and other sea mammals are local residents. Humpback whales make their summer home in the Sound, which provides abundant food for these beautiful giants. Eagles Roost Park — Located on Nordic Drive within walking distance from the edge of town, with picnic tables and benches. This is an excellent place to view eagles roosting in trees or take the trail down to the beach and watch eagles and shore birds or explore tidepools. Clausen Memorial Museum­— This is the best place to learn about Petersburg's colorful history. The museum houses a wide variety of local and regional memorabilia, from Native artifacts to early commercial fishing gear. 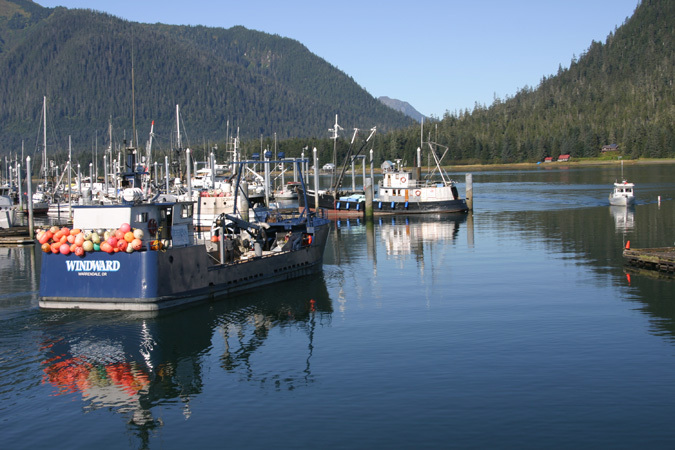 Petersburg Boat Harbor — Home to over 400 commercial and sport fishing vessels of all types. 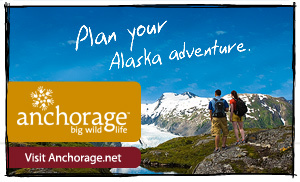 Wrangell Narrows — You can walk to Hungry Point, where the north end of the Narrows meets Frederick Sound. River otters, bear, deer, porcupine, porpoises, killer whales, wolves and ducks are occasionally seen. Bald eagles, king fishers, herons and loons are very frequent along the Narrows. Sandy Beach Picnic Area — 3 miles from town center on Sandy Beach Road. Site of ancient Tlingit petroglyphs, stone carvings and fish traps. Two picnic shelters surrounded by forest, picnic tables, grills, toilets and city water. Man-Made Hole — Located at Mile 19.5 Mitkof Highway, this swimming hole is a picnic spot and great place to cool off in the summer. Petersburg/Frederick Sound is known around the world as the humpback whale viewing area. Of an estimated 6,000 humpback whales in the North Pacific, approximately 1,000 feed in Southeast Alaska during the summer. 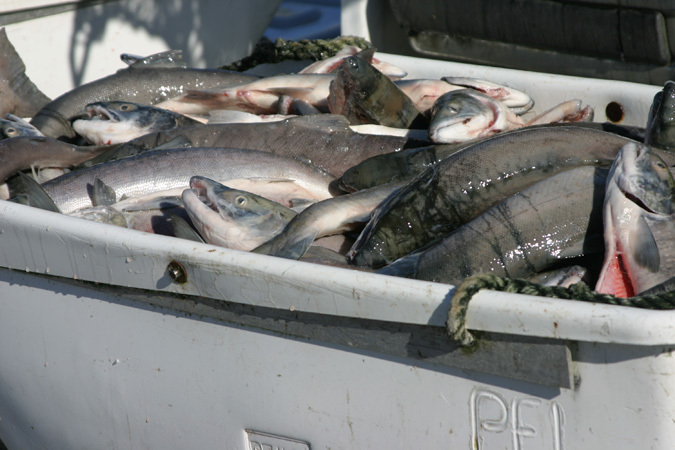 Nearly half of the Southeast Alaska feeding population will enter the Frederick Sound area. They are after the very abundant herring and krill which thrive in these waters. In addition to the humpbacks, steller sea lions, harbor seals, Dall's porpoise and Orcas are also frequently seen. This area contains two major and several minor sea lion haulouts. Sea lions and humpback whales are often seen in the same feeding locations and interaction between these species is common. Harbor seals are seen both in the water and on the many rocky inlets throughout the viewing area. How would you like to catch salmon just l4 miles from downtown Petersburg in a stream just off a paved highway? The area is Blind River Rapids - the only place in Southeast Alaska where you can catch king salmon in fresh water. The best time to catch kings is the end of May through mid-July. Steelhead's best time is the end of April and coho between the first of August to September. Blind River Rapids has an ample paved parking area and a handicap accessible boardwalk that winds through the woods to the Rapids. This site is one of the most popular day-use sites on Mitkof Island for picnicking, swimming, fishing and canoeing.